It has been below zero here the past few days. Today, I whipped up some French Vanilla Hot Chocolate. It is so easy, so quick, so rich, so indulgent and down right DELICIOUS! This is a small 2 cup recipe but, it is super simple to make in bulk. The directions couldn’t be any more simple. 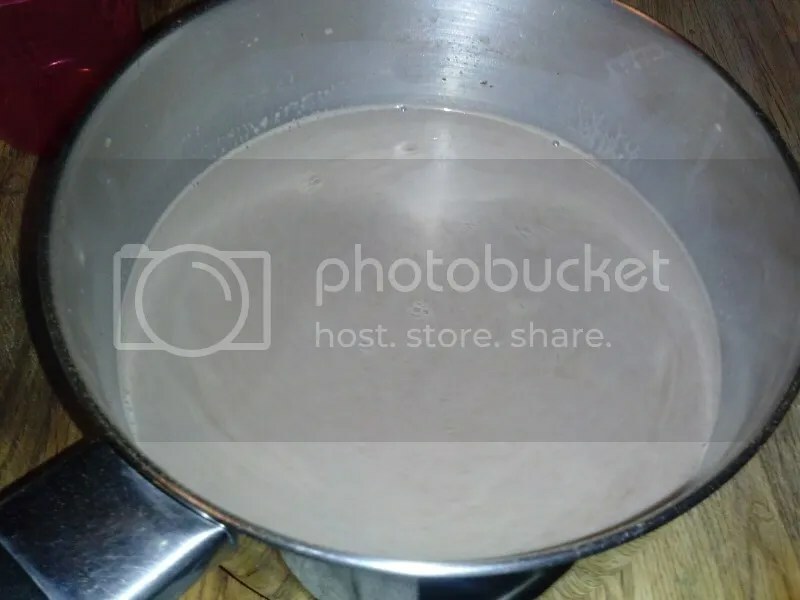 Put the milk, creamer and unsweetened cocoa powder in a small sauce pan. Turn the heat on low and whisk together. 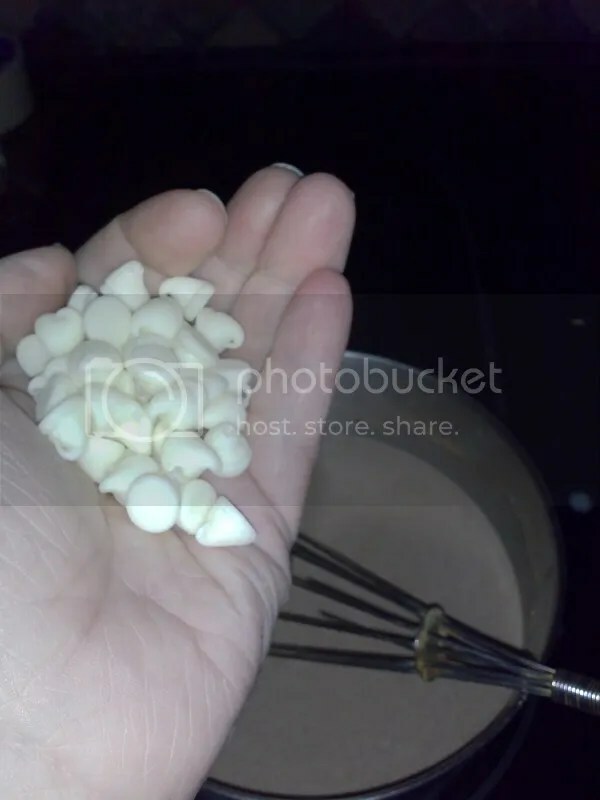 Once the mixture begins to warm, toss in a handful of white chocolate chips and then whisk until the chips have melted. Pull it off the heat and serve! Takes about 5 minutes from start to finish! It is good by itself but you can always up the decadence! I like whipped cream and a little sprinkle of cinnamon and sugar on mine. Have it your way and enjoy! Place a small sauce pan over low heat. 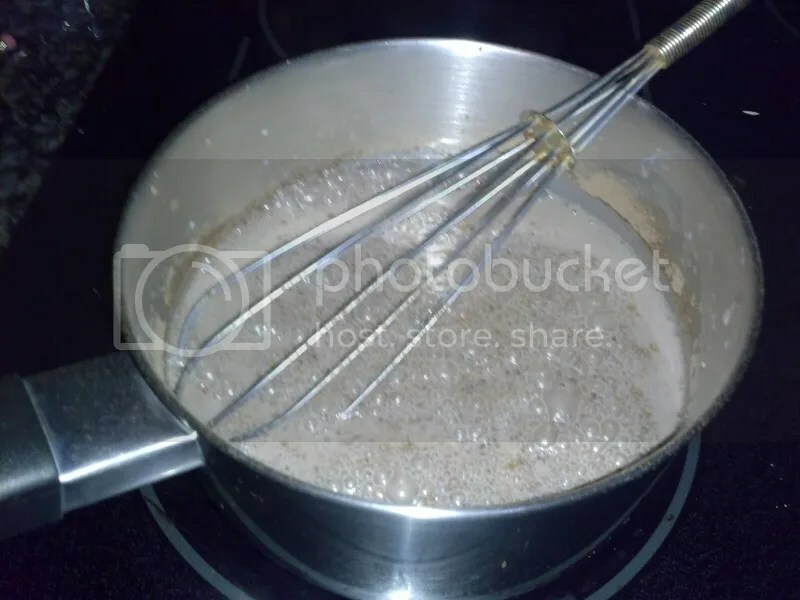 Add milk, creamer and unsweetened cocoa powder to the sauce pan and whisk together. When the mixture begins to warm, add in the white chocolate chips and whisk until the chips have completely melted. Pour into mugs, adorn with any extras that you wish and serve. Enjoy this warm and comforting treat! WHAAAT! I have all of that in my house right now. I had no idea how close I was to such a delicious treat. Thanks! Yes! Make it! It is sooooo Yummy! Thanks Debbie! It's a wonderful cold weather treat! For sure, Alicia! It is such a quick, warm and cozy treat! Thanks for adding these to Time For Mom! Hope you link up next week! Oh yummy, I would like one now! Thanks for sharing this at Talking Tuesday, we appreciate you stopping by. Yummy! I made some hot cocoa using a similar recipe and added Thin Mint flavored creamer, but it didn't have the chocolate chips. Will give yours a try next time I get groceries. Thanks!! 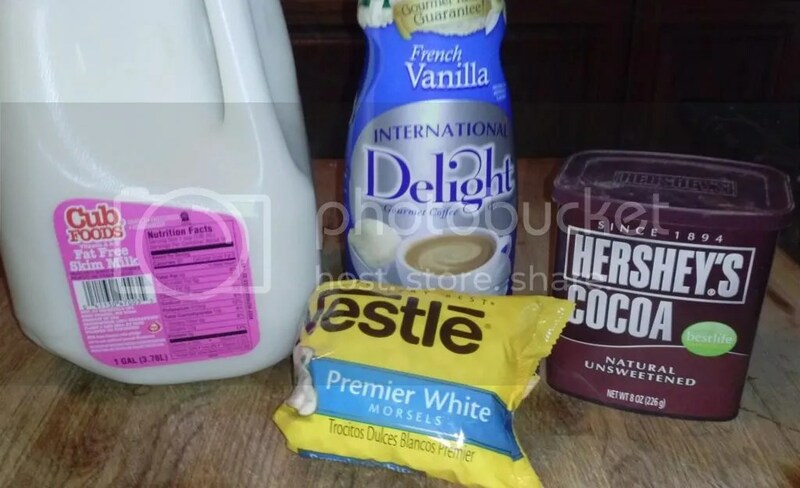 I have all of these ingredients, I'll be making this tonight! Thanks! Definitely a good Mom Time treat! It is quite delicious, Mary Ellen! Ohhh, Thin Mint sounds good. It is a versatile recipe, so you can us what ever creamer you have on hand! Feeling like to have one now though I am in Singapore. Make me think of Starbucks….. Thanks for sharing and joining 4 seasons blog hop. Cheers and have a nice day. This sounds delicious and a great treat for the Kiddies during the winter months…thanks for sharing! I hope you make it and enjoy it, Steph! Thanks for stopping by! YUMMY!! Two of my favorite things mixed into one! This looks so yummy and I really want to make it. It would be perfect for today too considering all the snow! Thank you for sharing, can't wait to try it! It is the perfect "warm me up!" treat! Thanks for stopping by Felicia! Oh, what a great idea! My name is Katie and I host Fall Into the Holidays, now open. All entries get pinned. I would love to have you link up! Looks delicious! I can't wait to try it! I hope you try it and enjoy it, Michelle! I am so trying this – adding white chocolate chips is amazing! Pinning. Stopping by from your post on the Recipes, Food & Cooking Community. Thanks Terri! I hope you enjoy it and thanks for pinning it! Oh I love hot chocolate and I love different recipes for it. Yummy!